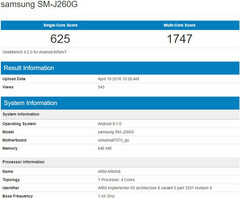 The Samsung handset that surfaced on Geekbench using the SM-J260G model name is expected to hit the market as the Galaxy J2 Core, the brand's first Android Go-driven device. Although nothing is official for now, we expect to see this smartphone launching in the coming weeks. The initially small crowd of low-end Android Go-powered handsets is slowly growing, and Samsung might be the next in line. 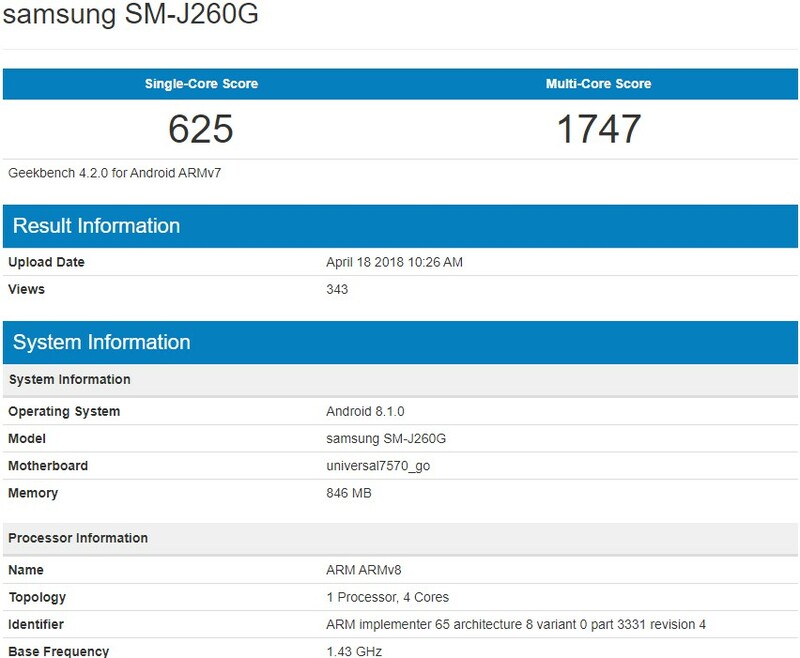 Although there is no official confirmation yet, there are a few details suggesting that the Samsung SM-J260G device spotted on Geekbench is going to launch as the first Android Go device of the multinational giant based in South Korea. According to SamMobile, the Samsung SM-J260G "may be launched as the Galaxy J2 Core." The same source claims that the processor appearing in the Geekbench listing is an optimized Exynos 7570 that features four ARM Cortex-A53 cores with a maximum frequency of 1.43 GHz. Since this processor is mentioned as "Universal7570_Go," it should be obvious that "Go" is related to the Android Go flavor of Google's mobile operating system. Next to the processor and operating system mentioned above, the upcoming Samsung phone also features 1 GB of memory, but all the other specs and features are not listed. However, it is rather safe to assume that the SM-J260G sports 8 GB or 16 GB of internal storage and two cameras with up to 8 MP each — most likely a duo consisting of a 5 MP selfie shooter and an 8 MP main camera. Meizu's head of global marketing recently confirmed on Twitter that the Chinese brand will launch its first Android Go handset later this year as well, but ZTE is having a tough period ahead and will probably get out of this niche of the market, so the first Samsung Android Go device might be able to gain a significant share of the market if launched at the right time and for the right price.